Art Gallery Cards: Embellished Ornaments and Mistletoe Designer Series Paper Cards Are This Weeks Featured Cards! 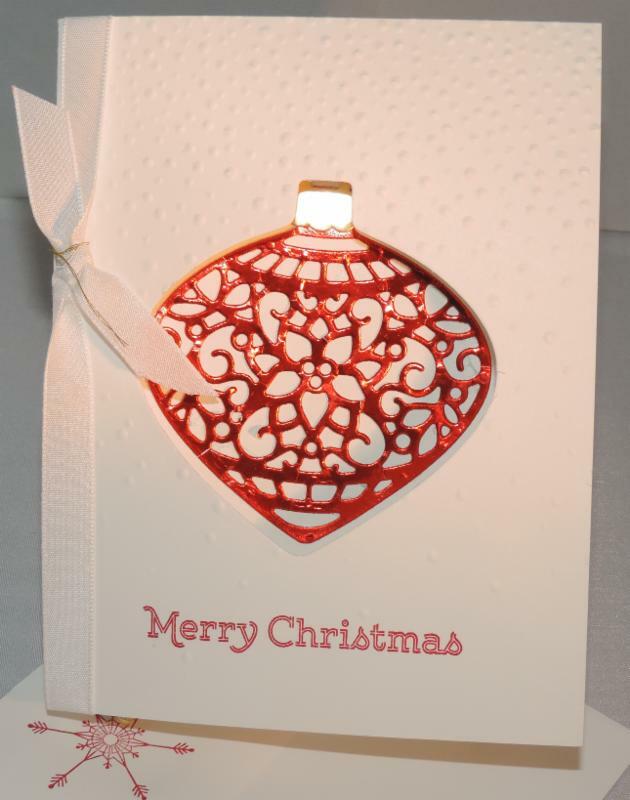 Embellished Ornaments and Mistletoe Designer Series Paper Cards Are This Weeks Featured Cards! Here are a couple of clean and pretty cards! Such simplicity! Just a Stampin' Up Cherry Cobbler, Very Vanilla and Mossy Meadow color palette and some fun, framed layers! 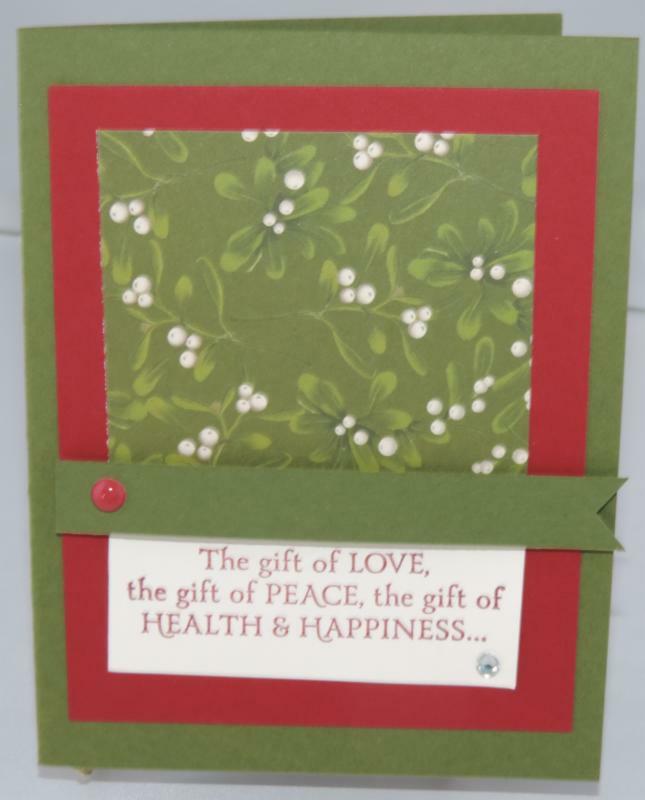 I just love the Versatile Christmas stamp set with lovely sentiments for inside and out! (140392) 9 stamps! You can't beat it! Bling, always! A Basic Rhinestone (119246) and a Home for Christmas Enamel Dot (140536) are just the right touches. Card #2 is this fun beauty using the Embellished Ornaments Bundle ((139759), crisp Whisper White Cardstock and Real Red Classic Stampin' Pad for this elegant pee-a-boo card. (Hard to tell in the picture but the ornament is actually on the inside of the card and the front is cut out using a coordinating framelit! Couldn't resist the Red Foil Sheets (139607) for the ornament. I used the Gold Foil Sheets for the hanger.(132622). Finishing touches are the Organza Ribbon (always a favorite) (114319) and just a touch of the Gold Metallic Thread (138401). Last and definitely not least (but also hard to see in the picture), I used the new Softly Falling Embossing Folder(139672) on the front of the card after stamping the sentiment. I hope you find some inspiration in these two original projects! Into the Woods Thanksgiving Card! Video for Mini-Treat Bag Thinlits!